So THAT'S Why the Jack Always Feels Sticky. Forget about cows, celebrities and good health. 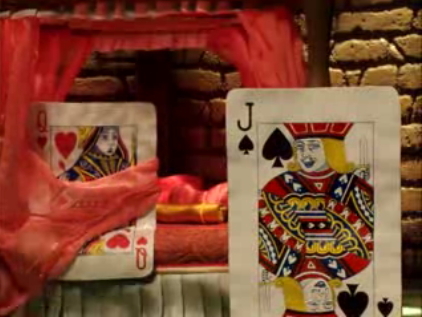 After watching this video for BC Dairy, you will never see poker the same way again. "I have longed for your heart." "I have longed for your spade!" Expect more where those came from. All ads, however random, conclude with the same tidy moral: must drink more milk. Dot com. And you probably expect this by now, but I'll say it anyway: the website lets you UPLOAD VIDEOS and WIN STUFF. Put together by Bent Images Labs for DDB Canada in Vancouver and Tribal DDB Canada (for the digital stuff).